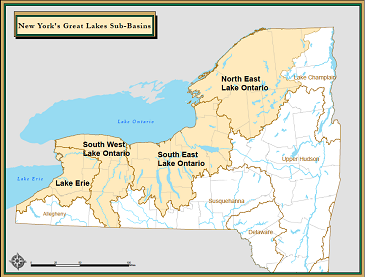 NYSDEC invites you to join other regional stakeholders in a basinwide partnership to advance key priorities for New York's Great Lakes basin, as identified in the state's interim Great Lakes Action Agenda (GLAA). The focus of this next round of meetings will be on defining ecosystem-based management project criteria, discussing sub basin priorities and further developing projects in support of GLAA goals. RSVP to greatlakes. Please indicate which work group meeting you'll be attending.